This is an exceprt on silver from a full report. Like gold, the gold stocks are backing off from their recent highs. 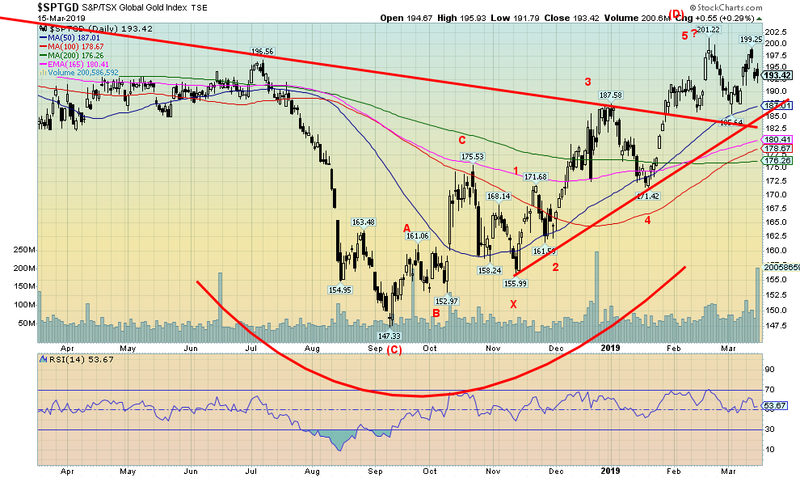 We note now that the TSX Gold Index may have made a small double top at 201.22 and 199.25. If so, the neckline is at 185 and a breakdown under that level could suggest a decline to around 170. We note there is considerable MA support in the 176 to 180 zone, but if we are going through a corrective period the likelihood is a decline through that level. We don’t believe we’ll see a major breakdown. 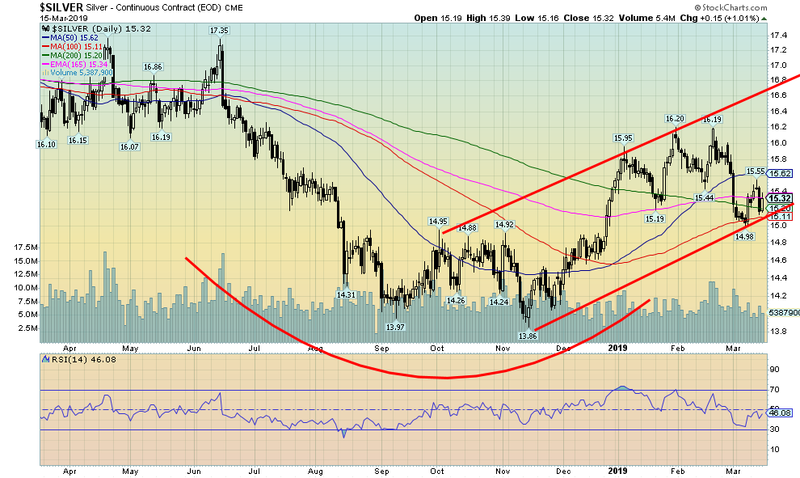 But the potential of the double top is ominous, at least for the short term.